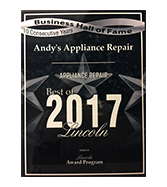 Andy’s Appliance Repair & Parts House is factory-trained and authorized to provide affordable appliance repair to the folks of Lincoln and surrounding communities. 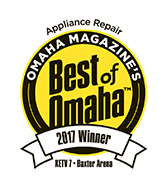 If you are in need of residential appliance repair on appliances like ovens, ice makers, dishwashers, fridges, washing machines, dryers, warming drawers, wall ovens and more, Andy’s Appliance Repair represents an ideal blend of quality and value. We don’t charge you an arm and a leg to get the job done the right way. 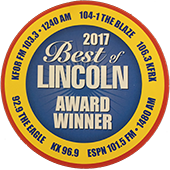 We’ve been serving Lincoln, Omaha and beyond with quality kitchen and laundry appliance repair for over 45 years, so it’s safe to say we have an understanding of what our customers and this industry demands. While in your home, our technicians conduct ourselves as a guest in your home. That means we treat your home, your property, your pets and you, with the utmost respect and courtesy. Just like we would want to be treated. 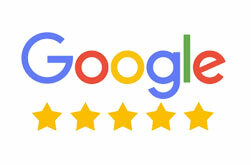 People have come to trust Andy’s Appliance service because we are reliable. We stand by our 2- hour appointment windows that we’ve made. We call the day before to confirm the date and time of the appointment and we go the extra step and also send a confirmation e mail with your technicians name and photo so you know exactly who will be at your door the next day. We show up on time, arrive in a marked Andy’s van wearing a smile and a pressed professional uniform. An example of this commitment is we won’t ring your doorbell when we come to your place, just in case there are any little ones laying down for nap time! Our factory trained technicians know exactly what they are doing. With many year of combined experience, we are highly-trained, superbly professional, polite and skilled at our craft. We are dedicated to finding you a quick, affordable appliance repair solution so that you can get your life together. For many of our Lincoln customers, this thrills them because it means they don’t have to take the entire day off of work, and neither do they need to stress about having some random person show up to your house. Our technicians are factory trained and are experts in the repair of the full line of Bosch appliances. Bosch designs and manufactures a comprehensive product offering of high end residential appliances including dishwashers, wall ovens, gas & electric ranges, cook tops, microwaves, coffee machines, refrigerators and laundry appliances. Many of the appliances are connected by what Bosch calls “Home Connect” which is their new wireless technology that connects the appliances together. With Home Connect, Bosch lets users control their home appliances even when the aren’t at home. Home Connect makes lie easier by connecting home appliances in a single, intelligent network. from doing the dishes to brewing coffee and remotely controlling your oven. Home connect offers and easy and intuitive way to remotely control your appliance via your smartphone or table for greater convenience. Bosch dishwashers are among the most popular high end appliances prized for their quiet operation, strong cleaning ability and reliability. “The Bosch 800 Series is the best dishwasher we’ve ever tested” the engineers have said. Bosch is a German company has been making residential appliances for 125 years with manufacturing of their dishwashers and other appliances in New Bern, North Carolina. It is important that anyone performing repair work on these machines be factory trained and authorized to to the job correctly. So, next time your Bosch isn’t working right and you’re not sure what to do, call Andy’s and we’ll send our certified technician to do the job right.